The Regency Chess Company Canada is the Canadian division of the UK's foremost retailer of high quality chess sets, chess pieces, chess boards, chess clocks and chess accessories. We are a company that prides itself in a passion for great products and great service. Our complete range of product is inventoried for immediate shipment at our facility north of Toronto. Our products are imported from England, Spain, Italy, Germany, The Netherlands, India and from around the world to provide you with Canada’s finest selection of chess products. Regencychess.ca est la filiale canadienne de Regency Chess UK avant tout détaillant de jeux de haute qualité d'échecs, pièces d'échecs, des échiquiers, horloges d'échecs et accessoires d'échecs. Nous avons une entreprise qui se targue d'une passion pour d'excellents produits et un excellent service. Notre gamme complète de produits est inventorié pour l'expédition immédiate à notre magasin au nord de Toronto. Nos produits sont importés d'Angleterre, Espagne, Italie, Allemagne, les Pays-Bas, Inde et du monde entier pour vous fournir la meilleure sélection de produits d'échecs du Canada. 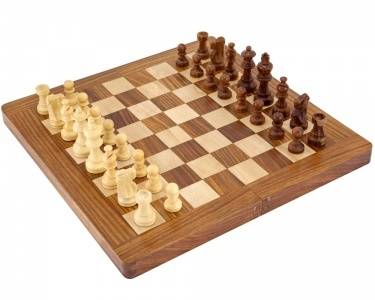 We have recently added two new styles of chess boards to our selection. The first type is a very high quality Black Anegre and Maple board that has been produced with a high gloss. This board is a nice complement to our luxury Ebony black chess pieces. 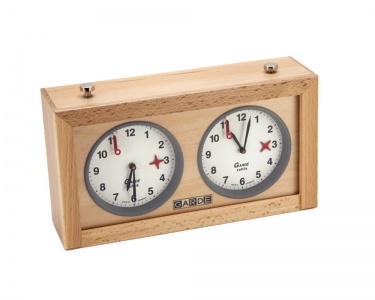 These two types of boards are available in sizes from just under 18 inches square to 23.6 inches square. 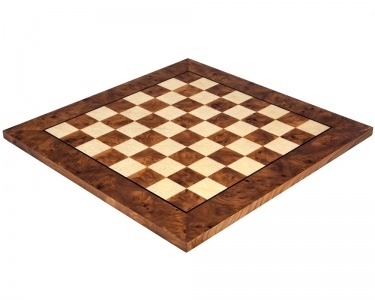 The second type of board is a design exclusive to The Regency Chess Company. It features Black Anegre squares and a medium brown Palisander border. These boards are also finished in a gloss lacquer and they are also available in four different sizes. Both of these fine Spanish boards feature precisely inlaid veneers that have been made to a very high standard. Canada’s foremost online chess shop can have your chess products delivered to your GTA address is within 48 hours. Our large and high quality range of products is in stock and available for immediate shipment. Delivery to Ottawa and Montreal is typically up to three days; Calgary, Edmonton and Vancouver four to five days. For quicker shipping options please call. We have a continually expanding selection of school chess sets, travel chess sets, budget chess sets, mid range chess sets and high quality luxury sets. Our items are imported from around the world and we bring them to your here in Canada as well as to many customers in the United States. Once ordered we notify you by email of the following steps: the set up of your account; receipt of your order; processing stage of your order; and shipment of your order with a tracking number. Collectable Chess Sets have been distinguished by both design and materials – namely fine dense hardwoods such as ebony, rosewood and red sandalwood. Some of these hardwoods are restricted from export by countries that have chosen to preserve their limited supplies. Exotic woods such as ebony can take up to 100 years for the tree to reach full maturation. The government of Brazil has placed a ban on the export of their rosewood stock. This wood was previously used in the crafting of musical instruments – renowned both for its aesthetically pleasing finish and its resonant tonal qualities..The government of India has restricted the export of all raw ebony and rosewood. The export of such finished products is allowed, but there may soon come a day that an outright ban is imposed. As a result of restricted supply, the world’s premier crafters of wooden chess pieces have stocked many years supply of these exotic woods. It is reasonable to conclude that an investment in a chess set crafted of fine woods is an excellent decision. When you contact us it will quickly become apparent – we have a passion for the Royal Game and a passion for friendly customer service. Yes, teaching students individually and in schools ... Yes, founding and directing an annual tournament for students of public, separate and private schools ... Yes, playing in tournaments in North America and Europe ... Yes, understanding the evolution of the Game of Kings ... Yes, having an excellent knowledge of quality chess products... Call us for advice – whether it may be on a suitable gift, the right size of board, how fast we can deliver, or anything else. We welcome your inquiry. The fact is that many of our customers prefer their sets for display rather than to be use in games. Like a fine musical instrument, a vintage luxury automobile, or a first edition classic book, the luxury chess set is to be admired. Plenty of Regency Chess sets have been purchased by individuals who only have a rudimentary understanding of the game, if any at all. In fact, these are our typical customer for luxury sets – those who wish to see the set as a design accessory or a conversation piece. When you see our finely crafted pieces of fine hardwoods it is quite simple to understand why they are strictly on display. In particular, the expertise with which the knights are designed, hand carved, and finished make them the hallmark pieces in the set. As you can see, we also sell a larger version of the knights to be used as fine paperweights – that look especially classy on a fine wooden executive desk. Whether it be with a fine glass of port, your favourite cigar, or in the company of a connoisseur, we implore you to play a game or two on these luxurious heirloom sets – as life is simply too short to deny oneself such a luxury!